Diplocephalus latifrons is a fairly common spider and this one came from leaf litter. It's one of those Linyphiids which has a weird and wonderful carapace shape (at least in the male - don't recall the female at the moment). The trichobothria on TmI is in a different range from its congeners. 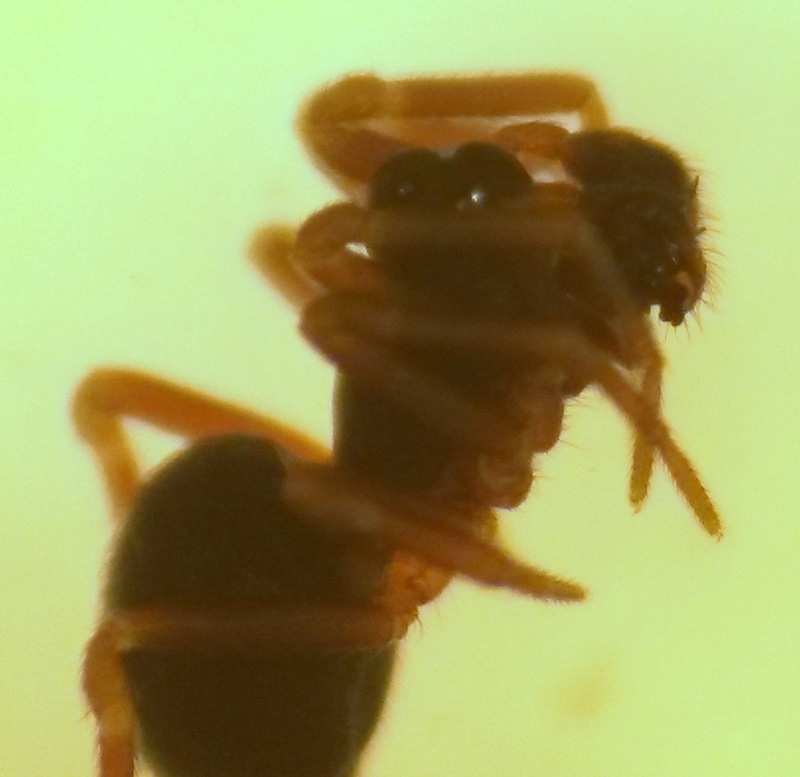 Taking photos of Linyphiids is tricky with my microscope/lighting setup but you can just about see diagnistic features here, with the palp having those two little protuberances. I added my first species from the small pine wood around the chapel of the Earls of Moray yesterday - Hyaloscypha leuconica is a tiny discomycete on pine cones and pretty unspectacular in every respect. I've also seen it on Larch cones before.